The Basics all cycle through the courses once, except for the Assault Course and Obstacle Course. They go through these two times! Lucky them! The first time on both courses is used to familiarize the Basics with all of the obstacles, so when they rush through it, they won't be facing anything new. Then the second time they run through them, they're timed. On the Obstacle Course, Basics aren't trained between obstacles, and do a straight run through. The fastest times run around 5-6 minutes for a single Basic. Then the top four Basics of the squadron get to run the A-Course first and get a slightly easier time than the rest on it. However, they are still trained between the obstacles unlike the O-Course. 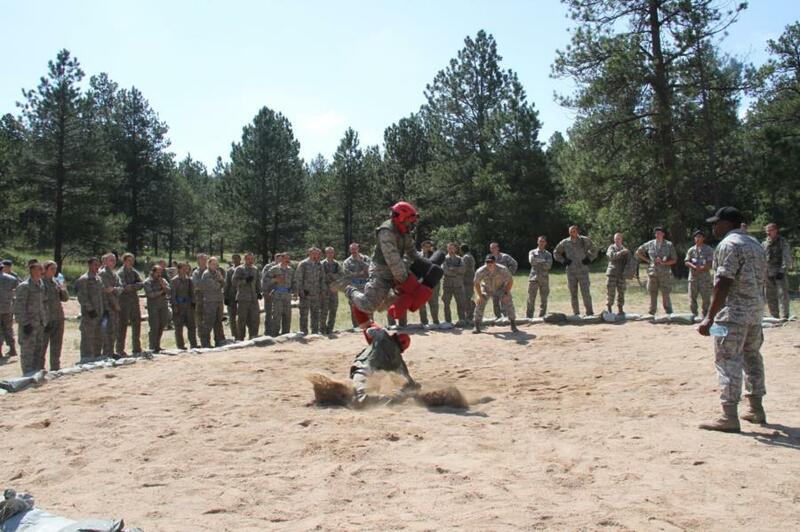 Additionally, the winners of the pugil stick competition (top male and female) continue on to compete in Big Bad Basic - a pugil stick competition between all squadrons to find the top overal male and female competitors.